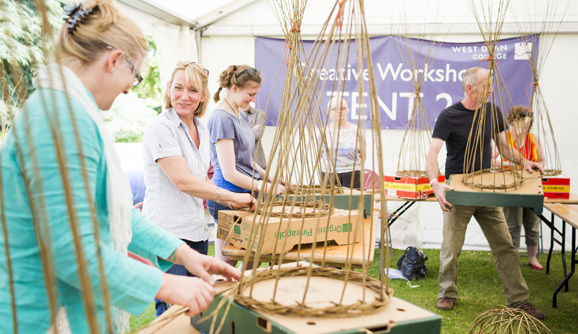 Showcase and sell your work at the West Dean Arts and Craft Festival, 31st May to 2nd June 2019 and join our celebration of creativity in a magnificent setting. Applications are now open to exhibit or demonstrate at the at the 2019 festival. Last year’s festival was a great success and we’ll be building on that in 2019, focusing on all elements of creativity, from exhibiting and selling, to demonstrating and teaching while enabling and encouraging participation by visitors. We’re delighted to be holding 2018 stand prices and hope you’ll apply to join us. West Dean College Design and Craft Fair 2015. Find out more and apply now. The application deadline is Friday 1st February. For any queries email events@westdean.org.uk or call 01243 818203.